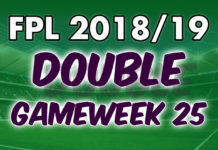 The FPL captain choices for Gameweek 2 were Sergio Aguero (Huddersfield H), Harry Kane (Fulham H) and Mohamed Salah (Crystal Palace a). Given Aguero’s odds of scoring and the strength of Man City’s fixture, even with the likes of Kane and Salah, he was the clear captain choice. Then “news” came out. 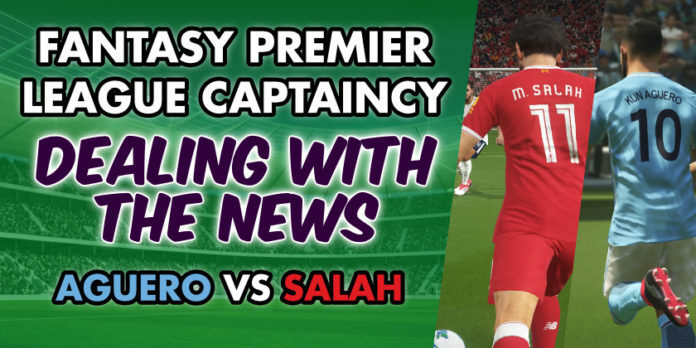 Struggling with your Fantasy Premier League Gameweek 2 captain choice? 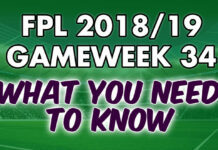 FPL managers were happy, FPL captain picks locked for the most part, and then rumors surfaced that Sergio Aguero wouldn’t be starting. An article from the Guardian made the rounds that said Guardiola was considering dropping Aguero to the bench. A retweet of this article from Jose Alvarez Haya only fanned the flames. Alvarez is considered to be in the know when it comes to Aguero so his retweet was noticed. Combine this with Guardiola’s supposed rocky relationship with Aguero over the years and his inclination to rotate his team and you had justifiable reason to be concerned about captaining Aguero. 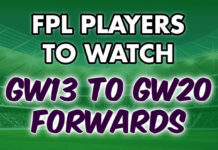 Unsurprisingly this news played havoc with FPL captain picks. 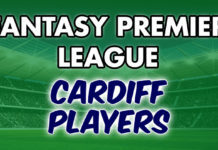 Right to not Captain Aguero? It’s easy to look at something in hindsight and say I should have done this. However, if a similar scenario were to occur again the result might be entirely different. All that can be done is act on the information available. Before the rumors about Aguero came out he was statistically the best captain choice, clearly. 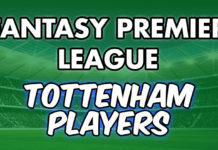 After the rumors we think Mohamed Salah or Harry Kane were better choices. This was based on giving Aguero, at best, a 70% chance of starting, 50% on the lower end. When factoring this in against Salah and Kane’s chances of starting and scoring they became the better captain choice. 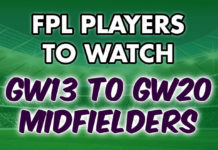 It’s important for FPL managers to remain vigilante especially when deciding on a captain. On this occasion ignorance would have proven to be bliss. This is the exception though as more information can only help in the long run. The problem is in the age of fake news and click-bait information can be confusing. As a result the news you receive needs to be filtered. Particularly with this Aguero news, the one thing we can learn is to give increased weighting to news sources that provide direct quotes. Without quotes anyone can write anything just for click-bait. Sometimes unverified sources can provide nuggets of information that do prove to be true, we saw this with lineup leaks last season. However, as a rule of thumb, it might be better to disregard any information that claims something with no quotes or evidence to back it up.